Gummy Bear - This was a very refreshing version of the candy. Right off the bat, the density of the flavor is strong in the initial taste. As the flavor runs down your taste buds the aftertaste is where the sweetness picks up. I never once felt this was overly sweet, but just the right amount to truly enjoy the flavoring and make it nice to sip on. 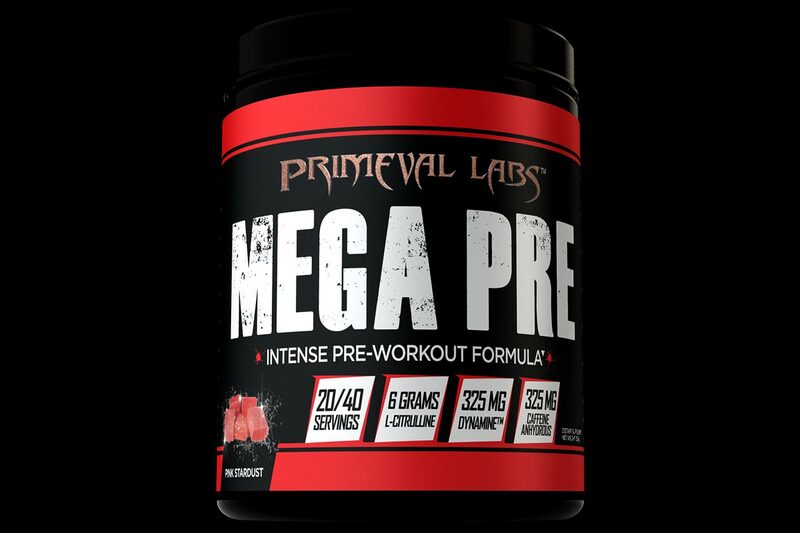 With Primeval Labs they are so good at flavor you will never have to shotgun or chug your pre-workout. They find a great way to flavor any formula on their product line. Sometimes pump products that contain ingredients that attract heat and moisture can clump very easy. To my surprise when I mixed up mega pre black I had no issues. I used 2 scoops (1 serving) in 14-16oz of water. 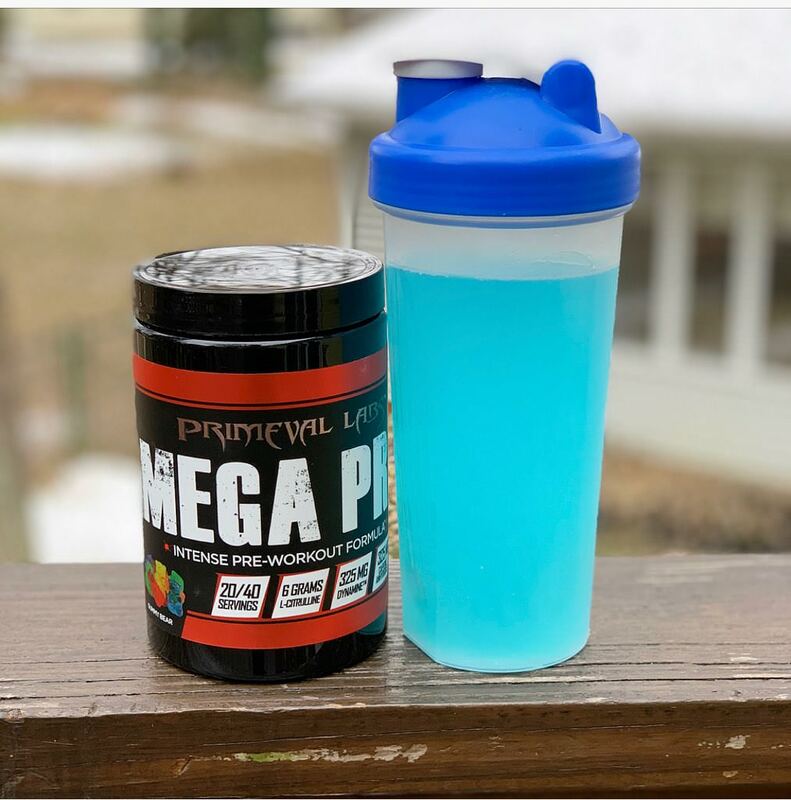 I prefer to dilute my supplements and I still found the flavor to be strong and refreshing. If you were to use 8-10oz as suggested on the label you should have no problems. A good trick is to mix the night before when I train early in the AM, so that leaves no floaties in my shaker bottle. This product may run for $50 on their main webpage, but they always have 25-35% off coupon codes. I have seen it on BOGO and 25% off as an intro sale on another new webpage. This is one of the most cost effective pre-workouts when on sale. You have to remember what you are getting in this product is fully transparent and dosed very high. Primeval Labs is no stranger to great tasting and well-dosed products. IF you are on the market for a heavy hitter, you will want to invest in this product.